Champagne=love. Gimmonet Special Club=love at first sight, and then forever. This is very refined, with a nose probably still as fresh as when it was first disgorged, with minerals and brioche, an effect carried over on the palate. The essence of elegance. My notes show I always like the Wittmann GG's, even if I wouldn't call it mad, gushing love. This has a fine melange of petrol, dill, apples and slate, as well as a great sense of focus and a light hint of sweetness on the lovely complex finish. Our appetite for German Riesling suitably whetted by the dry rendition, we moved on to a flight of Auslese by two masters. The nose displays what most would expect from a mature Auslese, i.e., petrol a little smoke. Beyond that and the requisite apples and slate is a hint of mint. I wasn't wowed by either, as both are less complex than I'd have thought, but of the two, this is the livelier bottle. Livelier than the Brucke but both are less complex than I'd have thought. Although I think the donnhoff is slightly more complex. While more complex than the Prum, this comes off a little tired - actually, way more tired than I'd have thought a 2001 Donnhoff Auslese had any right to be. 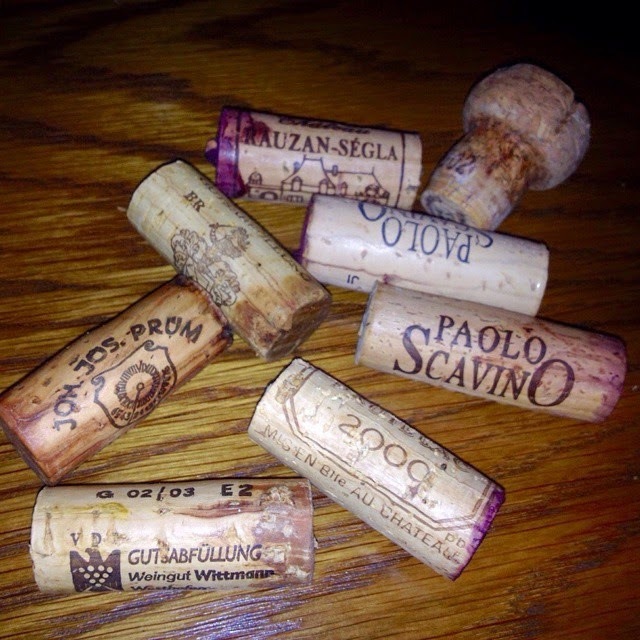 Just blame it on the dry cork. An interesting nose, though, with tea, minerals and a funk I can't quite elucidate. Next up, two Barolos that strayed so far from the reputation of their maker I could hardly even write up a note. .
Can't beat a great Bordeaux vintage for blowing your blues away. Not only did this flight throw the dull, foursquare impression made by the Barolos into even greater relief, it was a short seminar on the stylistic differences between Pauillac and Margaux. A very classic claret, with blackcurrants, cedar and earth melded with typical Margaux elegance. Not only is it more drinkable than the Lynch Bages, its trappings are much more obvious. This is still tannic, needing more time in glass to show the grand power of Pauillac in its facade of tobacco, coffee and a hint of meat. 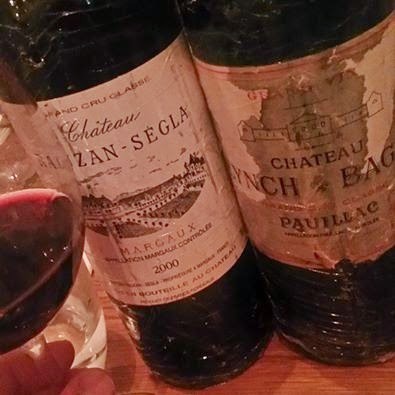 Both the Lynch Bages and the Rauzan-Segla have wonderful acidity and still need 5-10 years to peak. At first sniff and sip, a cut above the other Rieslings. Deeper and purer, with enervating acidity. It is, however, at that monolithic stage in a great Riesling's revolution that you just yearn for a time machine. The 2002 Wittmann wasn't really GG but "Spatelese Trocken", which is more of a technicality than anything else - GG designation hadn't existed back then, but it's the same wine named GG today. On the Barolos - they were not fun, to be sure. I think the Cannubi is beyond help, but the Bric may see better days in 5-6 years.